SHANGHAI (Bloomberg) -- Ford Motor Co. and Chongqing Changan Automobile Co. are in talks to expand their partnership in India, Chongqing Changan President Zhang Baolin said. The two automakers are considering all types of vehicles to be sold in India, he said. “We have discussed with Ford to use their network to expand overseas, but haven't come to an agreement yet,” Zhang told Bloomberg News while attending a forum in Shanghai. Chongqing, China-based Changan joins Chinese automaker SAIC Motor Corp. in announcing plans to expand in India, as expansion in the world's third-fastest growing major economy stokes auto demand. India's government estimates annual vehicle sales may double to 3 million by 2015, helped by rising incomes and job creation. Ford and Changan are already cooperating to sell and produce cars in China, under its joint venture Changan Ford Mazda Automobile. Zhang said the venture is “progressing well” and declined to speak about a change in shareholding for the tie-up. Ford and Mazda Motor Corp. are planning to dissolve their partnership in China and are forming separate working arrangements with Changan in the country. Ford and Changan are still in talks and have yet to decide if the vehicles to be sold in India would be Ford or Changan products, Zhang said. 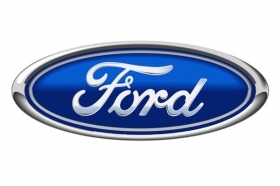 Ford, the second-largest U.S. automaker, said sales in India more than tripled to 7,925 last month. SAIC and GM, which have made cars together in China for more than a decade, announced last December they would also form a partnership to sell low-cost vehicles in India.